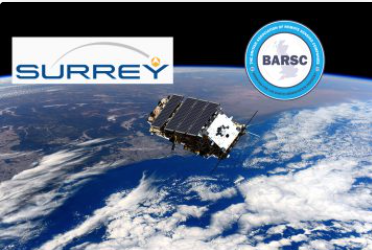 A new member is on board at the British Association of Remote Sensing Companies (BARSC), which promotes the British Earth observation industry throughout home markets and across the world. Who's the new member? BARSC announces that "the world-leading small satellite manufacturer and pioneers of the small-sat revolution, SSTL Ltd. has joined as a new Corporate Member." SSTL's history goes back to their first launch in 1981. Since then SSTL has seen over fifty of their satellites launched into space, nineteen of which continue to be in operation today. Currently the company has twenty-three satellites in manufacture mode for their customers who are located all over the world. Rachel Bird, Application Business Line Manager for SSTL explained why her company has decided to join BARSC and the opportunities she sees from being part of this community. She said that they have been impressed with the excellent job that BARSC is doing in promoting the activities of the UK’s remote sensing sector. The association’s membership includes world-leading organizations working in downstream applications and is exactly the community SSTL should be regularly interacting and building partnerships with in order to support their small satellite mission opportunities. In response, Chairman of BARSC, Alistair Maclenan commented that BARSC exists to promote the remarkable capabilities of their member companies and to provide a vital network where knowledge can be shared, and opportunities uncovered. Having SSTL within their ranks, a company that has been wildly successful throughout the world’s Earth observation marketplaces, will be a fantastic boost for both the Association and all the other members.